The Museum of Drawers—a cult object among audiences in Europe and America, as Texas Monthly stated in 1978—has the distinction of being the world’s smallest museum of twentieth-century art. But far from being a mere curiosity, the Museum of Drawers is a true microcosm of art produced during that time. 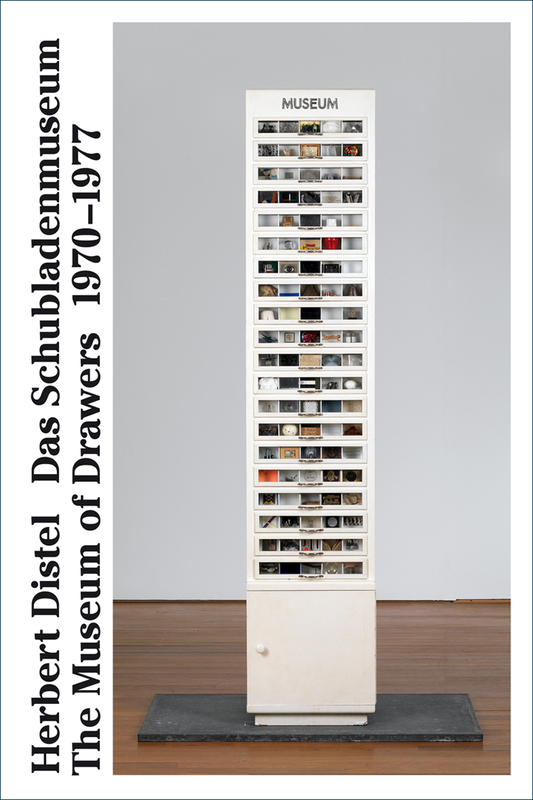 Conceived and assembled by Swiss-born artist Herbert Distel in 1970, the museum consists of an old cabinet that contains twenty drawers, each of which are divided into twenty-five compartments. The resulting five hundred sections each contain a miniature work of art, many of which were specially commissioned for this project. An impressive array of artists, including Joseph Beuys, Marcel Duchamp, Jasper Johns, Roy Lichtenstein, Pablo Picasso, Cy Twombly, and Andy Warhol, is represented. The Museum of Drawers 1970–1977 is a complete portrait of this extraordinary collection and contains photographs of each of the drawers, as well as life-sized image of each individual compartment. Essays complementing these images cover the history and significance of the museum.